Baird & Stallings, CPAs, P.A. is a Certified Public Accounting firm who provides clients with the traditional CPA services of Tax, Write-up, and Assurance Services. The firm has expanded its services outside the scope of those provided by the average CPA firm by supplying clients with business and individual financial services, business operational and funding consultation, forensic analysis, litigation support and business valuation services. It is the firm's philosophy to take a personal interest in each client building a strong bond with our clients and their families and letting client successes define our success. If we don't have the answer, we will find the answer, and guide you to the resources you need to solve your problem. Baird & Stallings has grown up in the farming industry as a pioneer in providing financial counseling to the row-crop, catfish and aquaculture community. Baird & Stallings has one of the most extensive practice concentrations of row-crop and aquaculture clients in the nation. Whether it's helping an existing business streamline it's operations to navigate the revolutionary business evolution into the virtual world or assist a start-up operation build a business plan and find funding, Baird & Stallings professionals work hand in hand with each client to achieve their goals. The firm has devoted a large amount of time and resources over the last several years building a litigation support/business valuation practice to help attorneys and Judges litigate and settle cases in a more professional and equitable manner. Our forensic examinations can supply Judges, juries, and attorneys with the facts necessary to make decisions in complex business litigations. We pride ourselves in being able to respond to the needs of the legal profession with timely, efficient services. There is no charge for an initial client interview. We will be glad to meet with you at no charge to discuss how our services could benefit you. Call us at 662-887-4557 today. Our mission is to help clients maintain financial viability in the present, while taking a proactive approach to achieve future goals. This requires open communication to reach an understanding of our clients' needs through research and sound analysis. Baird & Stallings CPAs is dedicated to meeting these goals with high standards of excellence and professionalism. We have been a staple of the area's business community for years, and pride ourselves on the level of esteem we have earned. Our dedication to hard work has earned the respect of the business and financial community in and around the area. We believe this to be a direct derivative of our talent and responsiveness to our client base. Whether you are a current or prospective client, rest assured that individuals and businesses who choose Baird & Stallings CPAs receive competent and timely advice. David and Don started their accounting firm in 1977 based on the principles of quality service, expertise, and sound business advice. These principals were developed from their life long relationships with family, friends, and business associates. David grew up in Inverness on a family farm just five miles from our Indianola office, where he was introduced to sound conservative business principals. His education includes attendance at Marion Military Institute for his first year and one-half of college before transferring to Mississippi State University where he graduated in the fall of 1971 with a BS in Accounting. In May 1969 David joined the Army National Guard completing his full time training and returning to his local unit. He completed Officer Candidate School and received his commission as a Second Lieutenant in the summer of 1971. David continued to serve part time in the National Guard until 1980 having obtained the rank of Captain and serving as a Detachment and Company Commander. Prior to starting their own firm, David worked as an operational auditor for a health care entity and in public accounting for a local certified public accounting firm. Having to start a new accounting business, David has performed every function of the firm. Over the years, the firm has enjoyed steady growth and the opportunity to apply his entrepreneurial skills and education. 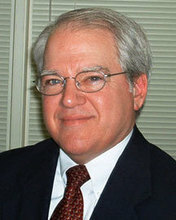 Today, his activities are concentrated on business tax and management advice along with estate planning. Most of the firm's clients are small and medium size businesses which require personal, confidential, and a very experienced business advisor which comes with age and dedication. In the last ten years, David has served as executor of estates and as trustee of trusts. His role as executor and trustee in estates and trusts has given him insight to estate planning, tax, and business consideration of handling estate affairs. David has recently completed his Certified Valuation Analyst (CVA) designation. Along with the knowledge of business valuation has come the opportunity for litigation support. He has been involved and testified in court actions involving business and farm related matters. David is a member of the Mississippi Society of Certified Public Accountants and the American Institute of Certified Public Accountants. 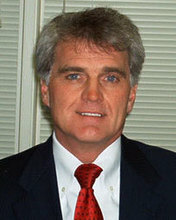 David is married to Mary Jane Abernathy of Nashville and they have two children. Don and David first met as fraternity brothers at Mississippi State so it was only natural they started a practice together in 1977 after passing the CPA exam. Building on each other's strengths, the firm has prospered. Don grew up in Calhoun City but his roots have also been in Webster County, Mississippi where his family has farmed and grown timber for five generations. Don, his brother, Lon, and sister, Phyllis, still own the family farms from both sides of his parent's families and farm ownership is deeply rooted in his blood. Don, Lon, and Don's son, Nash, built a cabin on the family's old homestead near Mathiston to have a weekend retreat and to have a place to stay when they attended Mississippi State functions. Another great addition to the Stallings family came about when Don met his wife, Sissy, while attending Mississippi State. A third generation Mississippi Delta girl, Sissy homesteaded Don in the Delta starting a great Hill-Delta link. Don worked his way through college on the cooperative education program at Mississippi State University working for the Tennessee Valley Authority in construction accounting. Don's early experience in farming and construction has been invaluable in his accounting practice. Don has developed several financial models on farming, construction, restaurant operations, personal care services, and other operations that have allowed the firm to expand its area of expertise to business financial planning and operational and funding consultation. While helping a friend in the middle of a divorce, Don became intrigued with litigation support earning accreditations as a certified valuation analyst (CVA) in 2001 and as a certified forensic analyst (CFFA) in 2003. Don's daughter, Frankie, is an attorney with Wilkins, Stephens & Tipton, P.A. in Greenville, Mississippi, and his son, Nash, is a contractor in Canton, Mississippi. Connie already had two children and had helped her husband establish a successful farming operation in Bolivar County, Mississippi when she decided to go back to school and get an accounting degree. Connie graduated with honors from Delta State University in May, 1996 with a Bachelor of Business Administration degree in accounting. She joined Baird & Stallings in October, 1996 and has become a valued business counselor for our clients. As a partner with her husband in their farming operation, Connie has done it all on a farm including driving a truck during harvest season. She keeps the books, prepares payroll and income tax returns, handles all the Farm Service Agency reporting, and meets all the bank's lending requirements for their farm. She makes maintaining a good home for her husband and children and working at the same time look easy. With such "hands on" experience in a farming operation it was only natural that a lot of our farm clients recruited Connie to advise them on how to keep their farms financially strong. The first thing most of them say when they come in the door is, "I need to see Connie". It would be hard to find anything around the office that Connie has not done and done well. She has extensive experience in write-up, income tax, auditing, tax planning, business and personal financial planning, forensic analysis of financial information, and cash flow modeling. Training new staff members has been one of Connie's responsibilities, and if they pass Connie's "training school", they will make good financial counselors. Connie is responsible for the firm's audits of retirement plans, which is one of the most demanding of all assurance services with intense government scrutiny. Connie is a master of handling multiple tasks and our clients appreciate her personal attention to their businesses. 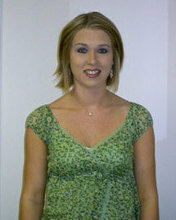 We were excited to add someone with Kristi's experience to our staff in September, 2004. While attending high school and college, Kristi worked with the Indianola Pecan House having served both as assistant manager and manager. As young as she looks it is hard to believe she worked with Indianola Pecan House for 9 years before coming to Baird & Stallings. 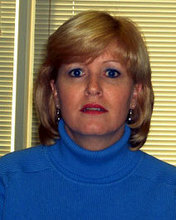 Kristi received an associate degree in computer information systems from Mississippi Delta Community College in 2001 and a bachelor of business administration from Delta State University in 2003. Some of her primary duties include preparation of client financial statements, payroll tax returns, tax agency correspondence, and due date monitoring. Kristi's number one asset is her smile and friendly relationship with the firm's clients.